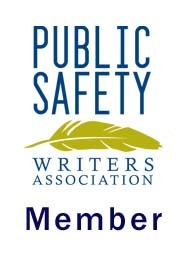 This entry was posted in Serial Killers, Writing and tagged Serial Killers. Of course, I’ve got my own stories. when I was 8 I went to the five and dime to buy Halloween decorations and a man told me he had Halloween decorations in his car and he’d give them to me if I came to his car. My mom had taught me to be polite. She’d also taught me never to go to anyone’s car. I very politely declined–several times because he kept asking. Then, years later, there was the guy at the public swimming pool my friend and I went to. Like your guy in the car. My friend and I had swim masks which meant we could see under water, and she said, “look at that guy. His thing is sticking out of his bathing suit under the water.” He caught us looking at him and followed us around. I guess we were around sixteen. 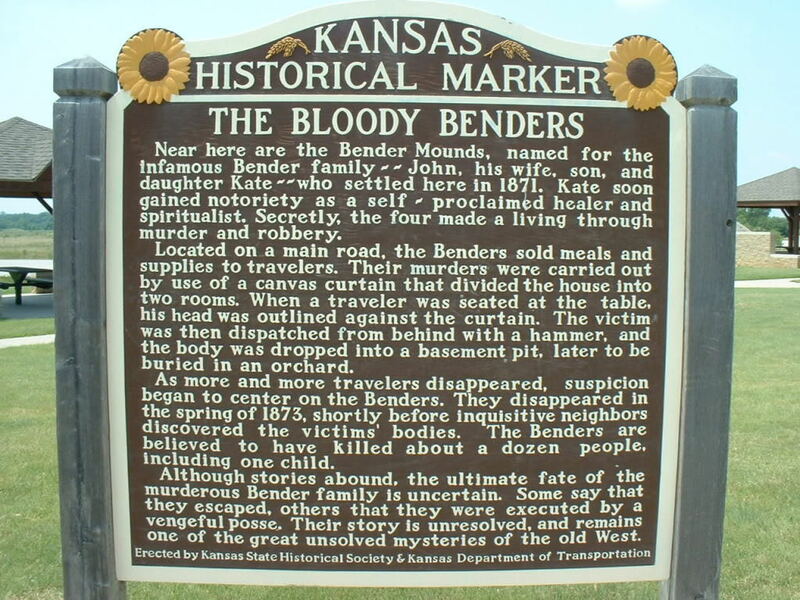 I drive by that Bloody Benders historical marker quite a bit! The last few names on the list I wasn’t familiar with, but wow, there really have been some scary people living not too far from me. Yikes. I know scary huh? Thanks for stopping by Miss Linda! Another great post! I just finished a manuscript and after my mother read it, she questioned my sanity and where I got the ideas for my bad guy. I’m not quite sure why my mind can go in those directions either, but like you, I had an unsettling experience in my childhood. I grew up in a village in rural Illinois and a nearby girl of my own age was murdered and buried in the cornfield behind my house. The killer was caught (the unstable grandson of the woman down the road). He had picked the girl up at the Little League game the whole town had attended that night. I don’t remember ever feeling scared or very upset (I was 10). I’m not sure if that’s the reason why I love mysteries and have an interest in profiling, but as an adult I am amazed at my childhood’s proximity to murder. Wow, that sounds like a great book Larissa! I know most writers write because its good therapy. 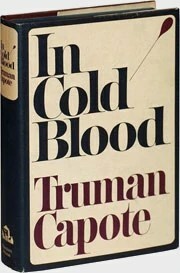 I don’t know why I love thrillers. I think a lot of us like to on some levels be scared, its a love- hate thing, like rollercoaster rides. We know there will be dips, sharp turns, drops and we’ll be turned upside down, but we still stand in line until its our turn. Same thing with haunted houses. We have permission to scream! Maybe it’s a stress reducer! All I know is I LOVE it! Great, bone chilling post Diane. I especially liked your personal stories, which couldn’t have been easy to share. great post Diane. thanks for sharing all those bad guys. just goes to prove the weirdest people can come from the nicest ‘families’. now i’m off to read a thriller or two. Thanks for stopping by Louise! Hope you find a good one to read! Great, post, Diane. I think what struck me with your stats was how the US leads in seriel killers compared to Europe. All of Europe only had 17% compared to our 78%? Wonder what’s behind that? Something in our culture, not in theirs? Do they just not keep records over there? If the numbers were closer, I wouldn’t have thought about it, but jeez. Fascinating info. I always think the scariest stores and movies are about the things that can really happen. (For the most part, I’m not sure writers can come up with anything wierder than what happens in real life. LOL) You pick up the paper and read about the perverts out there who are coaches, priests, politicians, and successful business people. The folks we are supposed to look up to. Scary for certain. Thanks for sharing your personal stories and reminding us all to make sure we give the “Stranger/danger” talk to our kids and grandkids. But don’t forget the “your body is your body and no one can touch it if you don’t want them to.” So often, it’s not “strangers” doing the bad deed but friends and family. Loved all the stories! It is, indeed, a scary world out there. When I first moved to Kansas City and lived in a high-crime area of town, I had occasion to run off intruders at gun-point. I think my hand was probably shaking so badly, they knew I really would shoot them! I, too, love to read mysteries thrillers. In books, the good guys triumph and the bad guys are always caught and punished. They make sense of a scary world, make it seem the bad guys can be controlled. I knew you’d be carrying a gun! Guns scare me. I don’t have any in my house except a BB gun, to scare of stray dogs in my trash. This gal drives a motorcycle and carries a gun…watch out bad guys… Biker Sally is out with her six shooter…OMG what a great character you’d make! Squeal! Thanks Sally for stopping by! Wow, awesome post once again, Diane! It brought back a lot of memories too… I lived in Emporia and Americus (Kansas) as a child…in fact Rev. Bird was my family’s pastor…that caused shockwaves as you can imagine. I also remember seeing a man masturbating on a bike when I was in the 3rd grade. It made me confused and scared. All the stories you shared are compelling. And like Marsha, I wonder why we have so many serial killers in America… Thanks for the great post! Small world Misty! I know exactly where Americus is. Sorry your family was betrayed my their pastor. Thanks for stopping by and sharing your story with us. Great blog! It really is a scary world out there. It sure is Mary. Thanks for stopping by. Great blog post! I was shocked to see the US had the most serial killers. 76%! Wow! Squeal! Hi Lindy-So happy you and Linda stopped by! I know, whats up with that? Whats up! I simply wish to give an enormous thumbs up for the great info you have got here on this post. I might be coming back to your blog for extra soon. An excellent post, Diane. I’m surprised by the data regarding US serial killers. Such a huge spread between the US and the 2nd highest country. Surprising, but then it give us writers lots of material to work with. I’m almost finished book two in a trio series of thrillers, but over the last couple of months I’ve been entertaining thoughts of a serial killer novel. You’ve convinced me that IT MUST BE WRITTEN. Thanks for sharing your knowledge. Thrilled to have inspired you! Can’t wait to read your books. Diane wonderful post. I read in True Blood when I was younger. I understand that the Texas Chainsaw Massacre really was based on some truth. I’m lucky I’ve only had one dealing with a scary situation. I was robbed while working in a convenience store aka gas station. It was my next to last weekend working. A man came in at 5:00 AM Sunday morning. He followed me behind the counter and demaned I open the register and give him the money. He had me in a choke hold. I refused to open the register, lucky for me we were in front of the closed one. I kept telling him I couldn’t open it. I even grabbed for the scissors and tried to stick him but he got me instead. I didn’t know this until Monday after I got off. His trial was finally held in June of 2011. He went to jail after confessing to not only robbing us but the store down the road. All he got from us was $200 in mainly ROLLED coins, pennies, nickels, dimes and quarters. I picked him out of two photo lineups. I identified him in court. We had him on video and he’s going to plead not guilty. I understand innocent until PROVEN guilty but we had the proof. But funny thing was I was more worried about having had too much money in my register and my eye strayed to it every so often wishing it would hurry up and do its automatic lock down. No one ever said criminals were smart! Rolled up coins? Whats up with that? Man I’ll bet that was scary for you! I’d never want to work at a place alone at night. I’m happy you were not hurt and he went to jail! Thanks for stopping by! I’m from Johnson County and have had similar experiences. 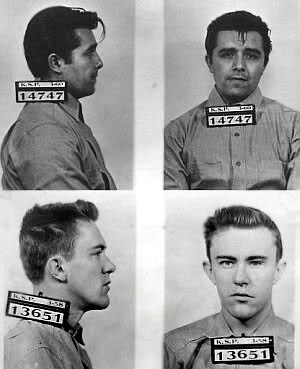 I was a senior in high school in Olathe when Grissom was caught in Olathe. I remember hearing about it, but I don’t remember being scared by it. I probably should have been! Thanks for stopping by Kathy. I think when we are young we are more into ourselves, we don’t believe the world can hurt us. This makes younger people more vulnerable to become victims of crimes. They make easy targets for predators. Of course we can’t live our life being in constant fear. I just want to say I am new to blogging and actually loved you’re page. Most likely I’m planning to bookmark your website . You really come with really good stories. Thank you for sharing your blog site. Thanks Milan! For some reason you post went to my spam folder. Glad you liked it and will be back! Excellent post Diane! I have to think that part of the reason the US leads in serial killers is that we’re the best at identifying and documenting them. That scene at the end of Silence of the Lambs where Dr. Lector is walking around a third world country really creeps me out. I wonder how many of these guys are flying under the radar around the world? Who gets your “creepiest” award? For me, its the real life bad guys who are fathers, grandpas and husbands.Also the growing number of child murders. Dr. Katharine Ramsland had a very interesting article about this at: http://www.psychologytoday.com/blog/shadow-boxing/201207/youngest-serial-killer-death-row. I’ve seen kids that truly scare me! I’m talking First Graders who kill animals, stalk their parents and siblings. That’s scary! But if we are talking Hollywood Dr. Lector is the best villain ever! He’s smart, cunning and has no remorse. When he ripped the guards face off and put on his own face…it revealed his true nature and captured the essence of a psychopath! AWESOME movie! Thanks IPC! I really do have other hobbies! LOL! 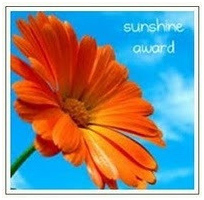 Just liked your FB page can’t wait to read your stuff! Great post, Diane, and very creepy! I remember seeing a TV show about a family on the frontier killed the travelers who stopped for a meal. Now I know where they got the idea. You are probably right about that. Make you wonder if any idea we have is truly an original? So happy you stopped by! Thank you Alica for stopping by and saying so! Really neat to read all these, my Grandmother grew up and lived in Olpe, KS, not far from Emporia, and in the Richard Grissom days, I used to frequent a bar called Eyes. I can remember him being there, and how he would just stand by pillars staring at people. Looking at the pics, I too could have been a victim!! I wish those families could have gotten to bury their girls. Thank you Denise for stopping by. I know exactly where Olpe, Kansas is located. I went to Emporia State University as an undergrad. I finished my practicum for grad school at the county mental health office in Emporia too. Having lost a child of my own, I couldn’t imagine the pain these parents they go through everyday, not knowing where their girls are. The whole point of that post was, they are everywhere, and anyone could be a victim. It’s a very small world! I hope you come back! This was probably my fault. Where I come from, step daughters are daughters. Poor baby! Thanks for stopping by Jennifer and for leaving a comment.